Don’t You Wish You Could “Save Them All”? This guy, Mr. Fly is toast. Time is not on his side. He can see his freedom – his world of dreams – through the glass, but with all sixteen of his eyes, he still can’t see that his freedom will not be achieved by banging his head against the wall, time and time again. His approach for freedom is clearly not working from my 40,000 foot view, but he just doesn’t get it. He is unconsciously incompetent. He tries over, and over, and over again. A quick subconscious irritation happens in my own head, as I walk away and hope he can stop to figure out that there is a better route just 10 feet away. My open door to his freedom. The next morning, waking up when I’m done sleeping, with no alarm clock, drinking my coffee, I’m looking out of the window again, feeling so grateful. The mentors I found online had done the same thing that I did for Mr. Fly. They caught my attention, picked me up, and showed me a different way. I had banged my head against the wall, trying the same old strategies, over and over again in my Network Marketing company for over 5 years. I was working so d*mn hard, doing meetings, traveling all over cities and states, organizing meetings, feeling like a chicken with it’s head cut off, spending all my time and energy trying to drag dead bodies over the goal line. I could never seem to break through to that next level in my business and nobody was working as hard as I was. I was getting tired, frustrated, and worried that I could be spending my valuable time building something else that might work better. Mr Fly’s other friends hadn’t figure it out yet. By now, that had all either slowed down, fizzled out, or stopped buzzing altogether. Without the right direction, no matter how hard they tried, they died in the window sill, with all of their dreams right on the other side of that clear barrier. They spent the best time of their life, the best energy they had, trying harder and harder, working on something that would (clearly) never work. (Pun intended)! Their goal of freedom was noble, but they never had a chance. No good plan. Lack of accurate knowledge, information, or help, kept them from their dreams and vision. However, I could be lying. Persistence has it’s limitations, and doesn’t always work. 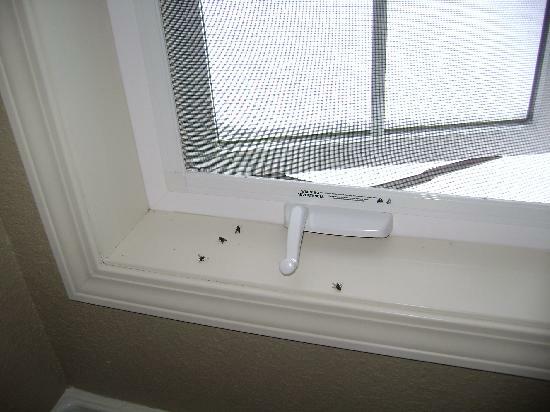 Don’t get me wrong, I am a huge believer in the power of persistence, but the persistent fly trying hard to break through the window is a perfect analogy for making money as an employee or business owner. My friend, (we’ll call him John), has been laid off several times in the last three years. He went from earning more than $80,000 a year to less than $40,000. Each time he was laid off, he went right back to looking for another job. Each time he found work, the company he was employed by went through “changes”, and he was laid off again. 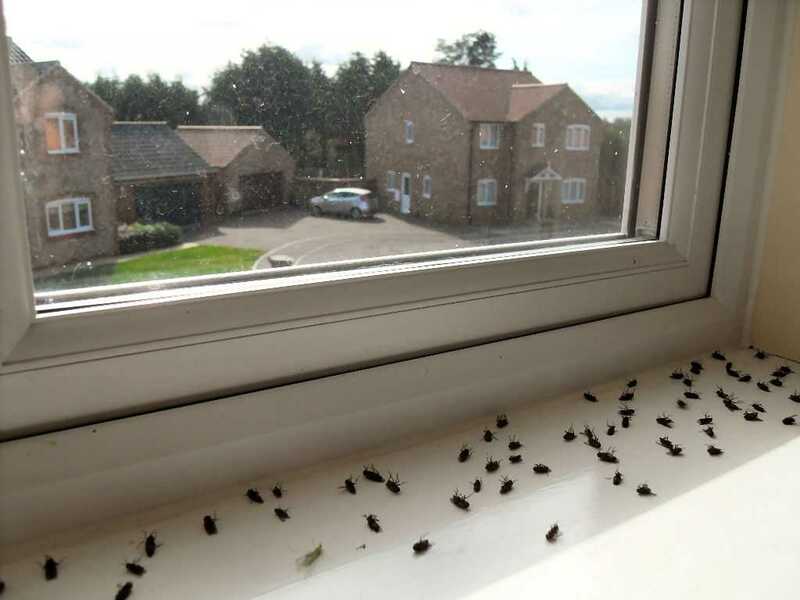 Like the fly, he too, continues to bash his head on the window of employment, and still has not found a quality of life or freedom. Simple fact is, you can’t have your own dreams, if you spend all of your time building the dreams of someone else. Not to mention getting taxed to death as a W-2 employee. I’ve never seen anyone create financial freedom or stability by earning a salary/wage. Doing the same thing over and over again and over again, but expecting a different result every time. The fly in my home, my friend John, and so many others like him, continue to do the same thing over and over, and over, expecting that somehow, things are gonna change. You’ve been working harder for desired results, yet you may be failing to reach some of your goals. What if you could finally find an “open door” that actually allowed you to achieve your business goals and dream lifestyle? What if you just couldn’t see it before, because you were told to focus on only one way to build? What if the ways that worked for your up-line 10-15 years ago is obsolete, and doesn’t work for today’s business? What if the best strategy has everything to do with leveraging social media, being able to sift and sort through millions of people on the internet, and knowing exactly where they hang out, and how to engage with them? What if we stop taking the “ostrich approach” and find out that instead of only one channel of income, where all your eggs are in one dangerous basket, there were actually MULTIPLE open doors that complemented each other? What if we stop the “it’s too good to be true” mentality, and start being open to real strategies that would make it possible to generate multiple streams of income, 24-7, online, for the same amount of effort, (or less, because you don’t have to chase dis-interested people around town). Wouldn’t multiple steams make your life more stable and secure, relieving all your stress for time money, and actually allow you to be working FROM HOME like they promised? And what if you could actually target entrepreneurial minded leader types who are ALREADY motivated and interested in financial freedom, instead of chasing your friends and trying to convince skeptical 9to5 employees that think they’re “not interested”? We all learned a long time ago, that in order to get something you’ve never had before, you’ve got to try something you’ve never done before. For 15 years of my life, like the fly, I also used my body to try and forge my escape. I mowed lawns, cleaned floors, roofed houses, delivered pizzas, snowboarded professionally, and help build & and brand different snowboard companies. Then one day I realized the path I was taking was not working, and finally stopped to think, and decided for the first time in my life, to simply come out of my comfort zone to try different and better paths to reach my lifestyle goals. When I stopped to think of the fly’s perspective, I knew they just don’t know the difference between an open and closed window, using only their own perspective. (Many times, we do the same thing, having “tunnel vision” with our own businesses, using only an up-line’s system/perspective). BUT every fly does have their own system, and they use the light to navigate. So I can simply make it easier for them, by closing the curtains, making the house dark, and opening up just one open window to the light. Then they may be lucky enough to automatically know to fly toward the light, finding their own way to freedom! Now, Archibald MacLeish said, “The only thing about a man that is a man…is his mind. Everything else you can find in a pig or a horse.” If you are not using the higher faculties of your mind to craft creative solutions to your challenges, you will be no better off than a pig, or a horse, (or a fly in a window). You have the power to see, do, and accomplish anything you could ever want in your life and your home business. If you’ve been trying hard and trying harder isn’t working, may I suggest a different approach? This system RIGHT HERE is one of the best systems I have found that helped me absolutely break through to the next level in my business and have the free time for my son, instead of chasing people around town, getting stood up at home parties. I believe, 1000% that you will find these specialized strategies will do the exact same thing for your business. The “old” ways of building an old school network marketing business, one by one, without the use of the internet, was a serious struggle for me, and if I would not have searched out these solutions, I would have given up like the other flies in the window. Done wrong with no leverage, it is a nightmare and a struggle. And to be honest, the internet has actually made it harder for the old school strategy builders. (More on that in the next post.) But done RIGHT, it’s a dream! Imagine becoming skilled with today’s marketing strategies, leveraging with the internet, in the Information Age. Picture being able to reach 90,000 people at the click of a button like I did this last week, all while doing a family trip. What would that do for your life? How would it feel? The Information Is Free. Drop In! I believe 1000%, that in your search, you will have found the exact solutions for generating more leads and more income into your home business, and with massive action, you will find a faster and far more effective route to freedom. Now, if you’re like I was, and not sure where to start, but you are coach-able and open to discovering these solutions my wife Mari and I have used, I will can show you the path that can finally put you on the right route to your freedom. I’d love to hear your story when you contact us. The World Is Now Yours, MFM!